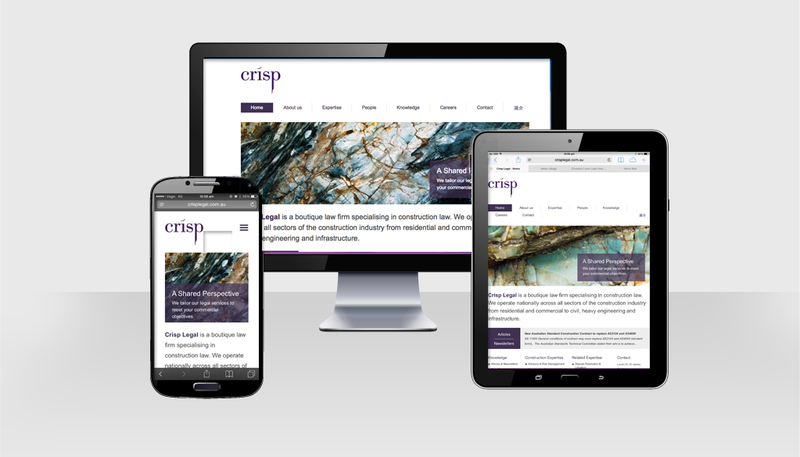 Website for a boutique law firm specialising in construction law. 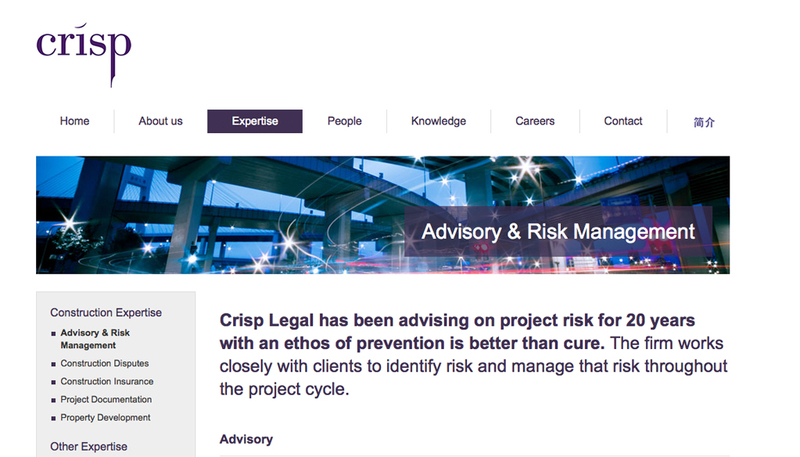 Crisp Legal is a boutique a law firm specialising in construction law. They required a new website as a branding and communication vehicle for their business, promoting their services. HMD delivered a responsive website with content management system. The site has a clean, minimal look with a ‘crisp’ sensibility. Strong on content, abstract images are spread throughout to lift the pages.